Do I need to include my employer’s contribution in my total taxable salary? Can I claim deduction on both my own and my employer’s contribution? As a first step, let’s understand what ‘Salary’ is. For a payment to be considered as salary, an employer-employee relationship must exist. Therefore, any payment made by your employer to your pension account is a part of your taxable salary. And a break up of your salary will show ‘Employer contribution to NPS or some such’. 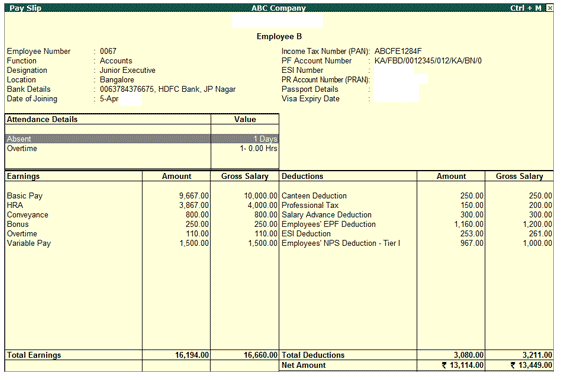 Where your Form 16 taxable salary includes Employer’s NPS contribution, as is obvious, it is already included and do not need to add it anywhere. Where you do not have a break up of taxable salary, usually this amount is included as part of your total taxable salary. DO NOT add it again, find out from your payroll team if employer’s NPS contribution has been added to your taxable salary. You can also do a quick calculation if you have your payslips. By adding all the components on your pay slip – such as Basic, DA, allowances etc, – you should be just short of employer’s contribution amount to arrive at your total taxable salary number. A resounding yes! If you employer is contributing to your NPS account you can claim deduction under section 80CCD(2). There is no monetary limit on how much you can claim, but it should not exceed 10% of your salary. On contributions made by you, you can claim deduction under section 80C or 80CCD(1B). To find out more about how to make the most of your contribution by maximising both these sections. And possibly taking your total deductions to Rs 2lakhs – READ here How to Maximise Tax Benefits if you have an NPS account.